Global shipping company United Arab Shipping (UASC) has installed XChange Media, Marlink’s news, entertainment and television solution on 44 of its vessels to provide on-demand multi-lingual content for crew via their personal devices. 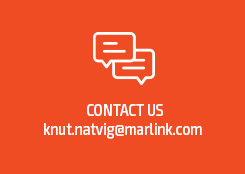 UASC’s fleet is already equipped with Sealink, Marlink’s global high quality VSAT service, which provides seamless IP connectivity to optimise fleet management and electronic document handling systems, whilst providing significant bandwidth for crew communications. Deployment of XChange Media across the UASC fleet was carried out remotely and completed in less than a week. UASC increases crew satisfaction in a cost-efficient way through the provision of daily updated content on XChange Media. The solution comes with cost-efficient program packages, as content can be shared with all crew members at no extra cost to them. Crew can simply use their own smartphones, tablets, and laptops via Wi-Fi either in their cabins or with friends and colleagues in communal areas on television whenever their shifts allow. Using XChange Media, UASC does not face extra airtime cost as the Sealink VSAT bandwidth will not be affected. Whilst XChange Media delivers new content every day, the masters and on-shore managers can be fully confident of the continued availability of bandwidth for business and operational communication facilities. Built on the XChange communications management system, XChange Media is an ideal alternative to satellite TV on board as it requires no extra hardware or installation costs. It can be activated online via Marlink’s Portal360 with just a few clicks and because content is delivered over Marlink’s global network infrastructure, crews can enjoy the XChange Media service worldwide.